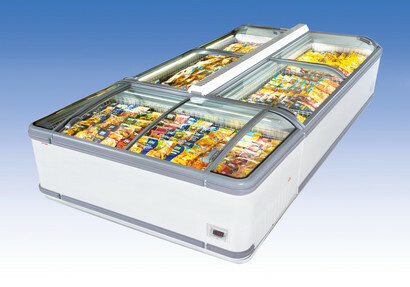 The unbelievably economical cooling and freezing unit with optimized merchandise presentation. Model MIAMI. 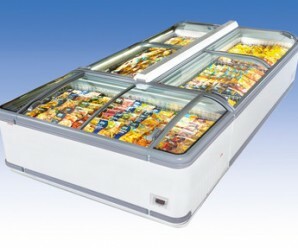 This innovative cooling and freezing device stands for maximum energy efficiency and is a member of our new generation of low-energy marvels. Brilliant LED interior lighting assures an attractive presentation of your goods while the large, curving panoramic glass sliders optimize presentation area and make for perfect viewing. 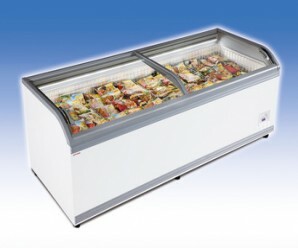 The unit's low height allows convenient placement and withdrawal of merchandise.